The Lake County Police Department Aviation Unit started in 1979 with three military surplus helicopters that were acquired from the United States Army. The aircraft were brought back from the Arizona and were completely restored by members of the unit and help of local businesses. Those aircraft served the citizens of Lake County until the mid 1990’s. During the mid 1990’s the military again released surplus helicopters that allowed the department to acquire two flyable OH-58 (Jet Ranger) helicopters and one UH-1H (Huey) helicopter. Again members of the unit worked to get these aircraft serviceable with the help of local businesses. These aircraft help the Lake County Sheriff provide valuable support and resources to the officers of the Lake County Police Department as well as many of the surrounding police jurisdictions. In 2009 the Lake County Police Department with the help of federal funding was able to acquire its first new turbine engine helicopter an American Eurocopter EC-120. The aviation unit is used to patrol some of the most remote parts of the county which is approximately 626 square miles. Much of south Lake County is patrolled by the air due to the fact the action unit can cover more area in a much shorter time then an officer patrolling in a vehicle. The Sheriff also provides aerial patrol over the infrastructure of Lake County such as the mills, refineries, power grids etc. many of these areas are not accessible by vehicles. The unit is also used to patrol many of the inland bodies of water in Lake County as well as the Lake Michigan shoreline that the sheriff is responsible for patrolling. One of the prime uses is pursuit assists using the aircraft greatly reduces a pursuit risk to the citizens on the road and all the officers involved. The aviation unit provides support operations to the various units within the police department such as K-9, SWAT, Gang Unit, Marine Unit and Drug Task Force. The unit also assists other offices within Lake County Government as well as some federal law enforcement agencies as well as the Indiana Department Homeland Security District 1 Task Force. The unit is made up of two pilots from the Lake County Sheriff Department and one pilot on loan for the Gary Police Department. The unit also has one full time tactical flight officer. 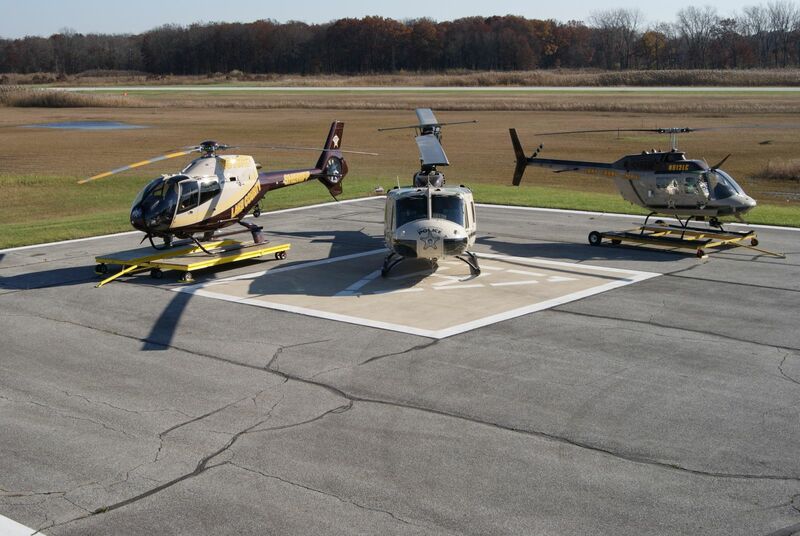 The Lake County Police Department Aviation Unit is located at the Griffith – Merrillville Airport in Griffith, IN. Through a cooperative effort between the Lake County Sheriff’s Department and the cities of Gary, and Hammond, there are nine Officers assigned to the Marine Unit. Each of these cities has assigned police or fire personnel to the Marine Unit. These Officers are first responders as well as rescue/recovery divers. Marine Unit personnel are responsible for twenty miles of shoreline on Lake Michigan, and approximately ten miles out. To complete their mission Marine Unit Officers use four patrol/rescue boats and three personal water craft. Marine Unit Officers are first responders to any maritime incident. The Marine Unit has three areas of responsibility. They are Search, Rescue & Recovery operations, Law Enforcement, and Homeland Security. Law Enforcement Officers assigned to the Marine Unit are responsible for enforcing state statues, and county ordinances. Officers spend a large portion of their time making homeland security checks and patrols. Several of the highest threat assessed targets within Lake County are accessible by water. 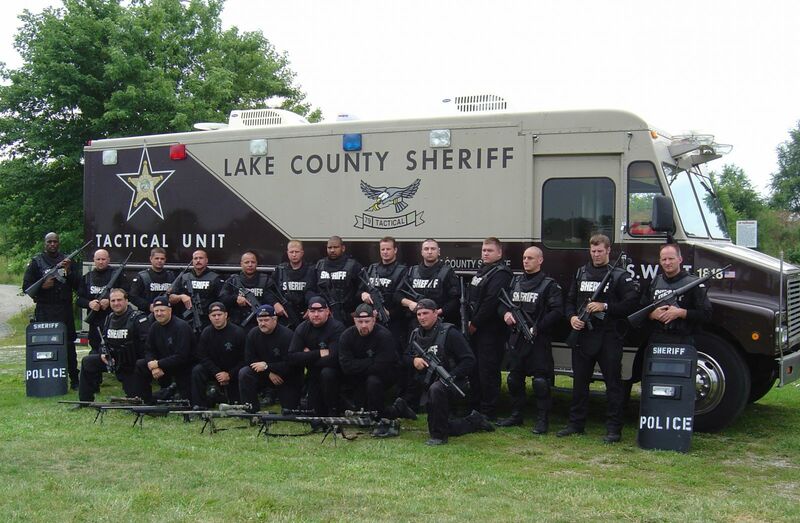 The Lake County Sheriff’s Department Tactical Unit was formed to provide a highly trained, equipped and disciplined team of police officers capable of quickly and safely managing potentially hazardous situations. The Tactical Units high degree of versatility and specialized training allow it to be utilized in numerous law enforcement functions. The Tactical Team comprises of 18 tactical (SWAT) officers, eight tactically trained paramedics, four negotiators and five marksmen. Tactical personnel are trained in and have handled a variety of situations including, hostage situations, barricaded gunmen, felons, mental subjects, VIP protection, high risk warrant service, rescue missions, jail disturbances, jail escapes, civil riots and raids on drug houses. The Tactical Team in its cooperative efforts has assisted numerous agencies in Northwest Indiana in training and establishing local emergency response teams. The Tactical Team has assisted and is available to assist local, state and federal agencies throughout the Northwest Indiana area. 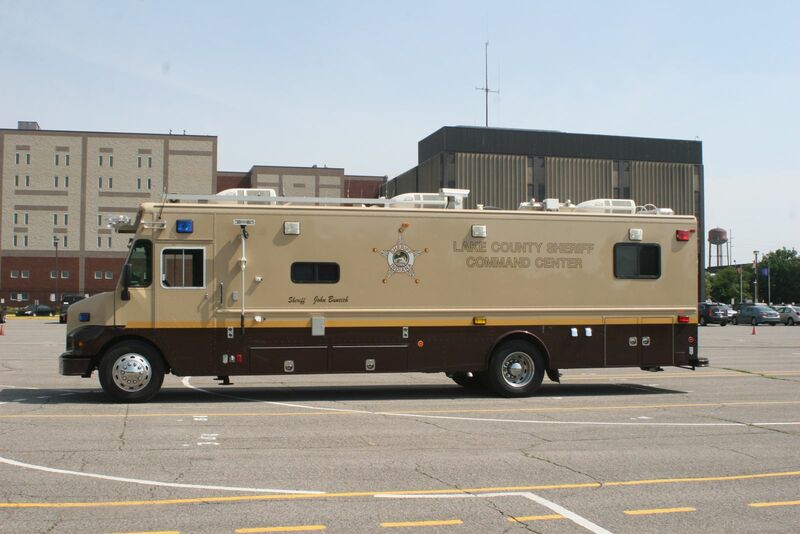 The Lake County Sheriff’s Department Command Center is essentially a 38’ mobile communications center. It is available to all agencies within Region I. It has full communications capability for every police, fire, hospital, school and casino in the region. It also has amateur radio capability. The Center maintains a hazardous materials software database and a weather system for hazardous materials incidents. It can provide 911 service for any community to which it is deployed. The unit also has an on board camera to view events from a distance. The camera and be extended to 37’ above the unit. The Command Center had been utilized by Cedar Lake for an evacuation when an anhydrous ammonia tank was struck and began to leak. Gary and Hammond police have both used the Center when their communications systems were inoperable. This unit was established to provide increased security to the county courts. In addition to the Lake County Government Center in Crown Point there are also facilities in East Chicago, Hammond and Gary. This unit has twenty-two officers who provide security at the entrances to all the facilities, screening all individuals entering the buildings. There are no cameras, recording devices, guns, knives or chemical spray allowed in any of the Lake County Courts.